Commonly known as ''Snowflakes''. 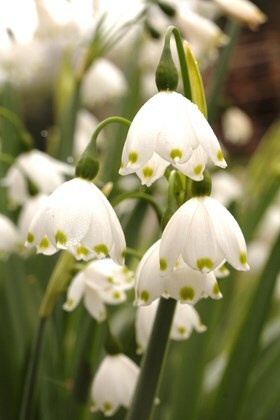 A very varied group, all with white, hanging, bell-shaped flowers and hence often confused with snowdrops. These large bulbed ones are planted in the autumn to flower the following year.